Fiji Airways, which was until recently known as Air Pacific, boosted its operating profit and passenger numbers in the past financial year. The airline today released its results for the year ended March 31, which showed an after tax profit of $14.1 million Fijian (NZ$9.4 million), compared to $11.4 million (NZ$7.6 million) last year. About 14,000 more passengers flew Fiji Airways last year than in the previous year, and about 100,000 more passengers than in 2010/2011. Fiji’s national airline is currently going through a major transformation; Air Pacific officially re-launched as Fiji Airways three weeks ago and the carrier is adding three new wide-bodied Airbus A330 aircraft to its fleet. A new chief executive, Stefan Pichler, was appointed last week. Fiji Airways reported annual revenue of $659.7 million, an increase of $13.8 million from the previous year and $104.3 million from the 2010/2011 year. 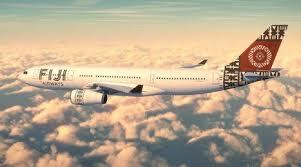 Nalin Patel, chairman of Air Pacific Limited trading as Fiji Airways, said the results beat the board’s business plan. He said he was “thrilled” with the airline’s successful turnaround and gave credit to its employees. “Just three short years ago we experienced the biggest loss in our history, so a second year of sustained operating profit is a good result,” Patel said. While the company’s underlying profit fell, Patel attributed this to the floods in April 2012, Cyclone Evan in December 2012, expenditures related to rebranding the airline, and costs related to preparing of the introduction of its new aircraft. Fijian Attorney General and Minister for Civil Aviation Aiyaz Sayed-Khaiyum said Fiji Airways was “a national success story”.